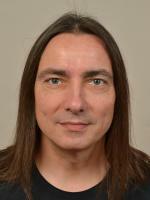 I am a Free Software advocate from Lustenau, Vorarlberg, Austria. As a part of FSFE's Financial Team, I help with some administrative tasks. Besides that, I maintain some of FSFE's services. I also love to participate in fairs and tradeshows for the FSFE, and you can try to meet me at FOSDEM or some other Free Software events. My T-shirt folding capabilities are legendary.